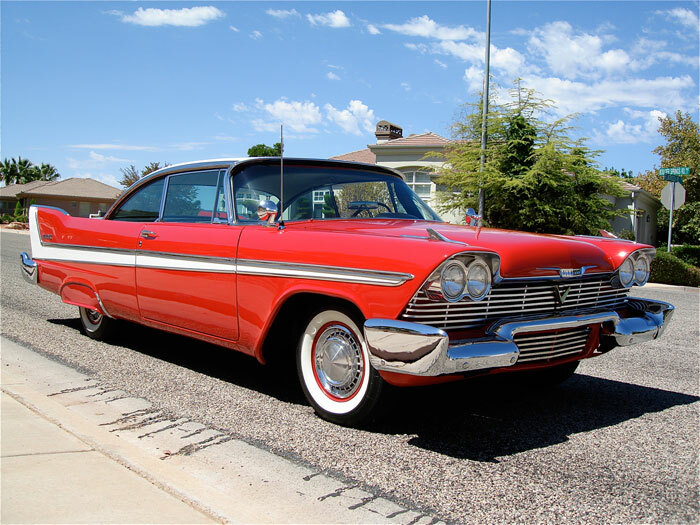 NOW AVAILABLE IS THIS BEAUTIFULLY RESTORED AND SUPER RARE 1958 PLYMOUTH BELVEDERE!!! 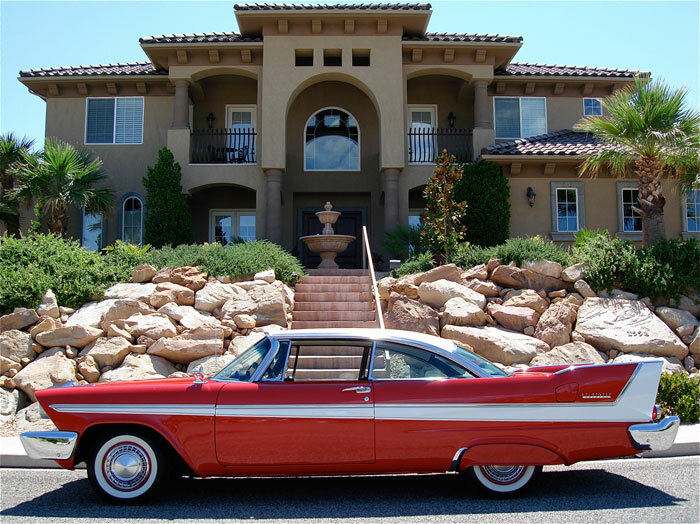 I HAVE OWNED QUITE A FEW LATE 50’S BIG FINNED CARS BUT NONE OF THEM CAN COMPARE TO THIS INCREDIBLE MACHINE!!! 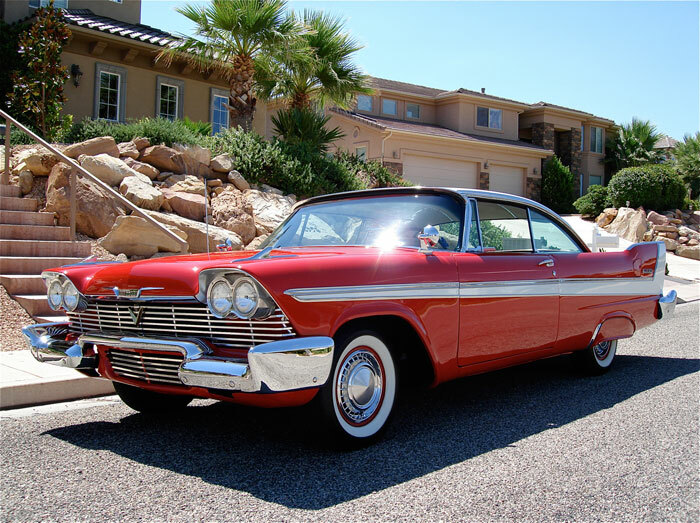 YOUR JAW WILL DROP WHEN YOU LAY YOUR EYES ON THIS RARE CLASSIC PLYMOUTH!!! 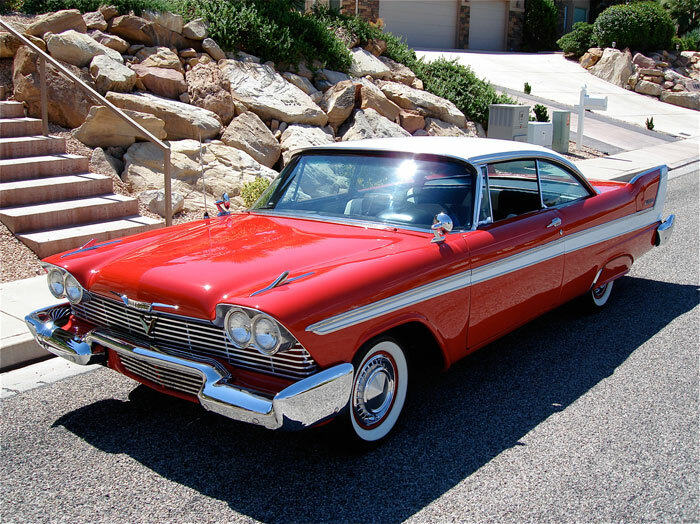 OF THE (15) DIFFERENT COLORS THAT PLYMOUTH HAD TO OFFER IN 1958, THIS GORGEOUS CLASSIC IS FINISHED IN ARGUABLY THE BEST LOOKING COLOR COMBINATION OF TOREADOR RED / ICEBERG WHITE!!! THERE IS A MIND BLOWING 17’ OF SHEET METAL FROM FRONT TO BACK AND ALL OF IT IS PERFECTLY STRAIGHT!!! 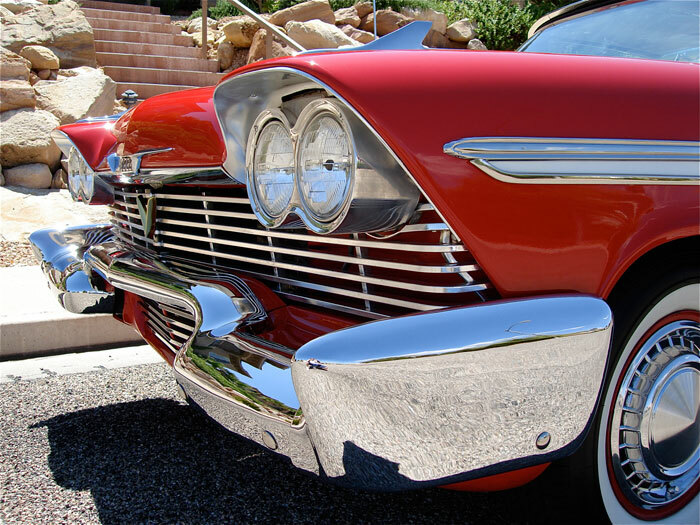 THERE IS A MASSIVE AMOUNT OF CHROME ON THIS CAR AS WELL AND IT IS IN BEAUTIFUL CONDITION THROUGHOUT!!! 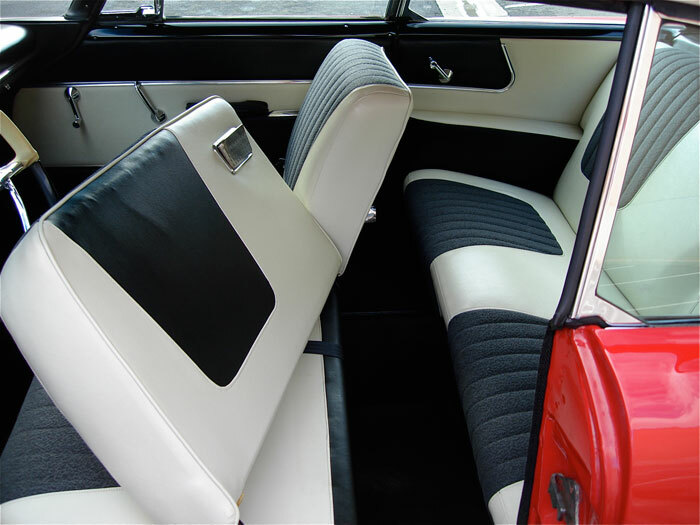 FEATURING A PERFECT CLOTH / VINYL INTERIOR FINISHED IN CONTRASTING BLACK & WHITE, STEPPING INTO THIS CAR IS LIKE GOING BACK IN TIME 50 YEARS!!! 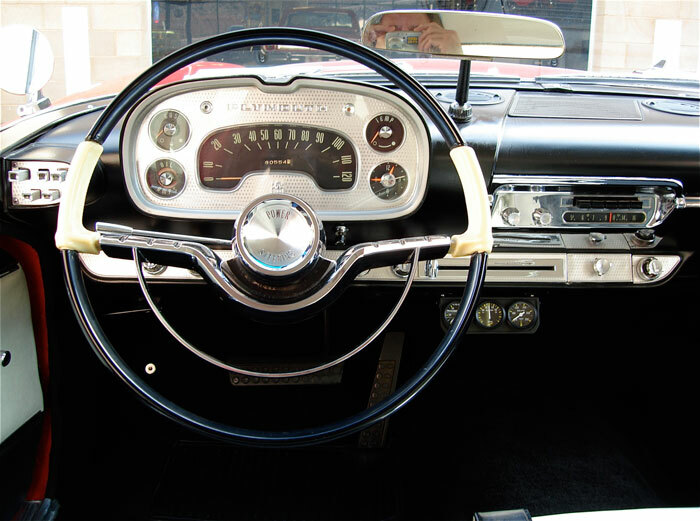 ALL OF THE LIGHTS, BLINKERS, WIPERS AND GAUGES WORK PERFECTLY AND AN EASILY REMOVABLE SET OF AFTER MARKET GAUGES WERE INSTALLED UNDER THE DASH THAT KEEP THE OIL PRESSURE, AMPS AND WATER TEMPERATURE PERFECTLY IN VIEW AT ALL TIMES!!! EVEN THE A.M. RADIO WORKS LIKE NEW!!! THE EXTERIOR STYLING IS WHAT REALLY BLOWS ME AWAY!!! 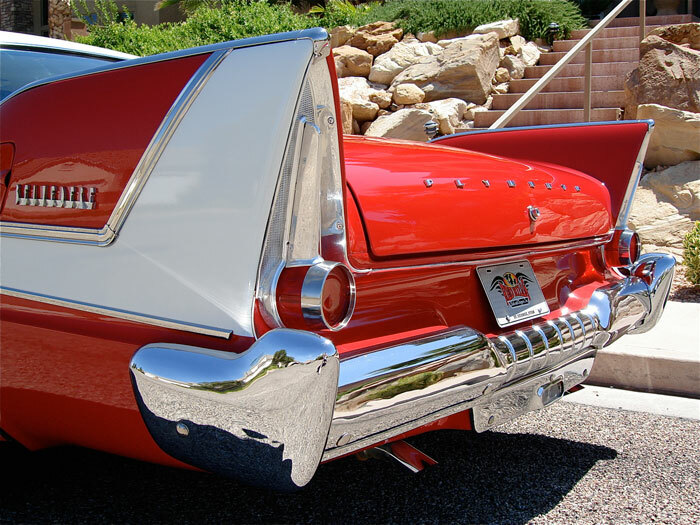 EXNER’S FIN-MAD STYLE TOOK PLYMOUTH IN AN AMAZING NEW DIRECTION WHEN HE POURED OUT BEAUTIFUL DESIGNS LIKE THIS ONE!!! DETAIL IS EVERYWHERE, FROM THE GRILLE TO THE 3D DECO CALLOUT BADGES ON THE QUARTERS TO THE FUEL DOOR THAT MIMICS THE BIG FINS ON THE REAR!!! 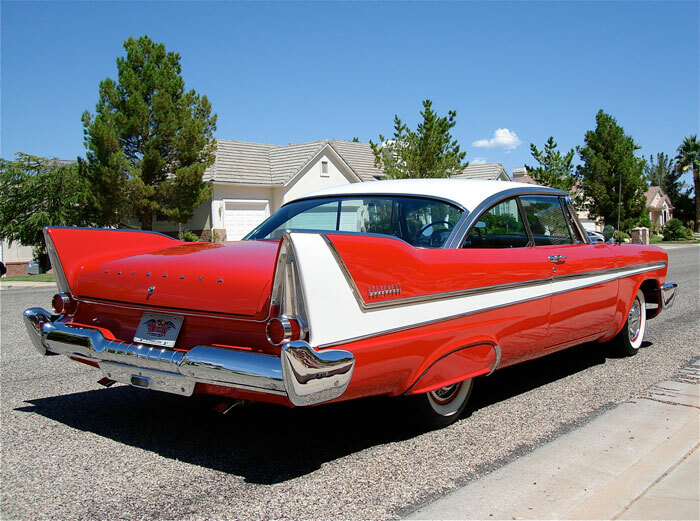 FULL-LENGTH TRIM RUNNING FROM THE FRONT FENDERS TO THE FINS BOTH BEAUTIFIES THE CAR AND SETS ASIDE SPACE FOR THE WHITE TRIM!!! 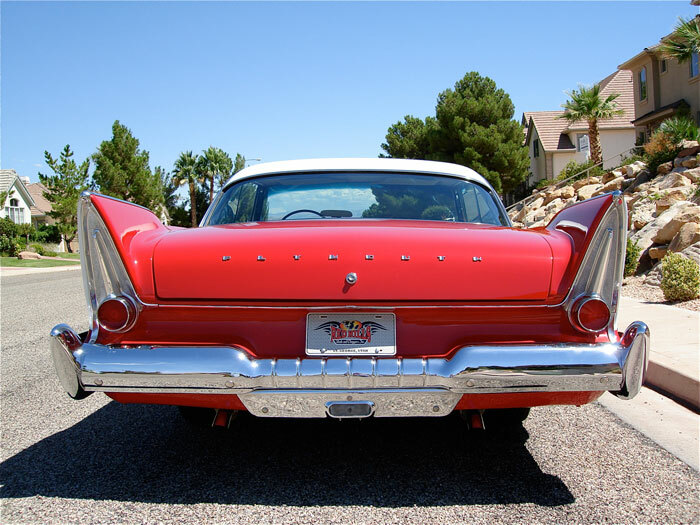 THE 1958 PLYMOUTH IS VIRGIL EXNER’S MASTERPIECE!!! 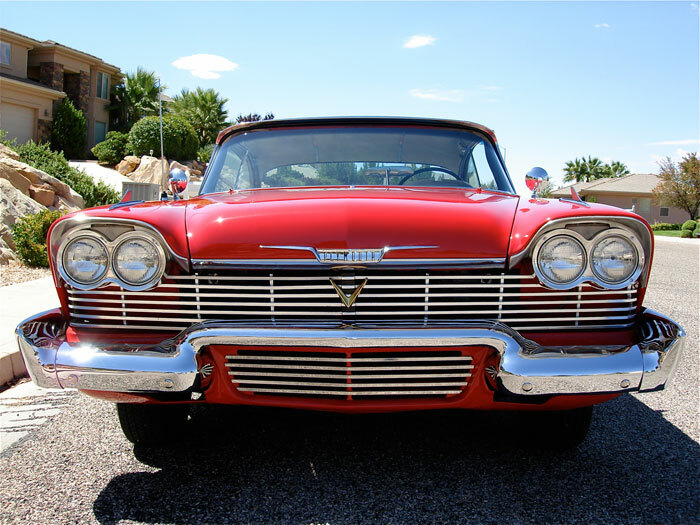 OF COURSE, WE ALL KNOW HOW FAMOUS THE 1958 PLYMOUTH BECAME DUE TO THE MAJOR MOTION PICTURE “CHRISTINE” RELEASED IN 1983, BUT THERE WAS A REASON THAT STEPHEN KING USED THIS CAR TO BEGIN WITH!!! 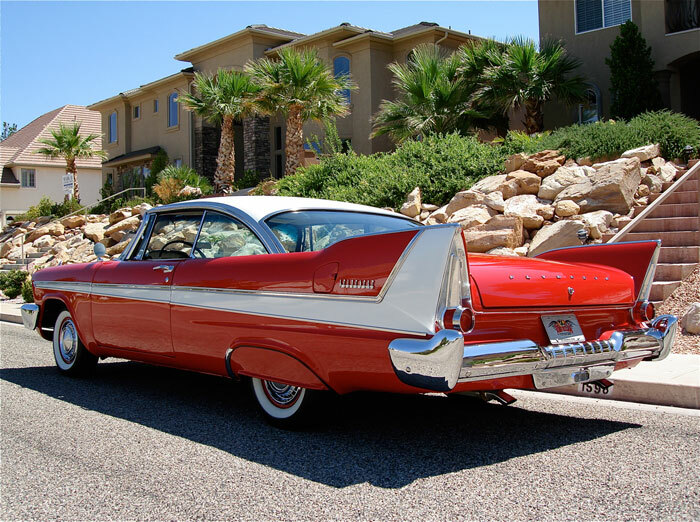 THE 1958 PLYMOUTH STYLING WILL LIVE ON WHEN MOST OF US ARE LONG GONE!!! NOW LET’S GET TO THE HEART OF THIS BEAST!!! 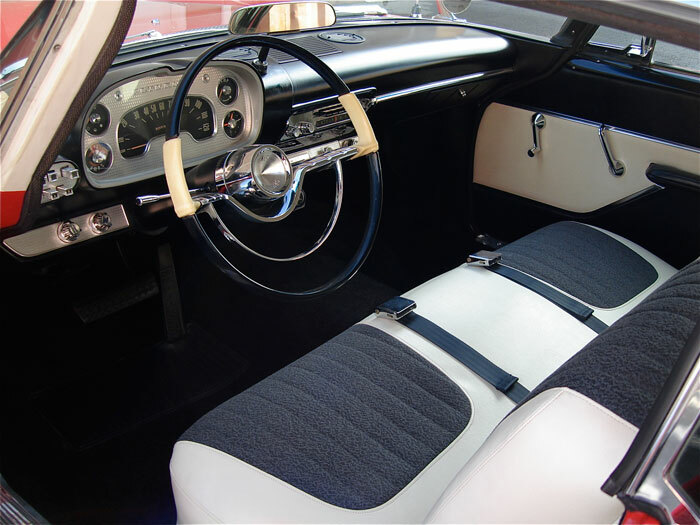 ENTIRELY NEW FOR PLYMOUTH IN 1958 WAS THE 305 H.P. 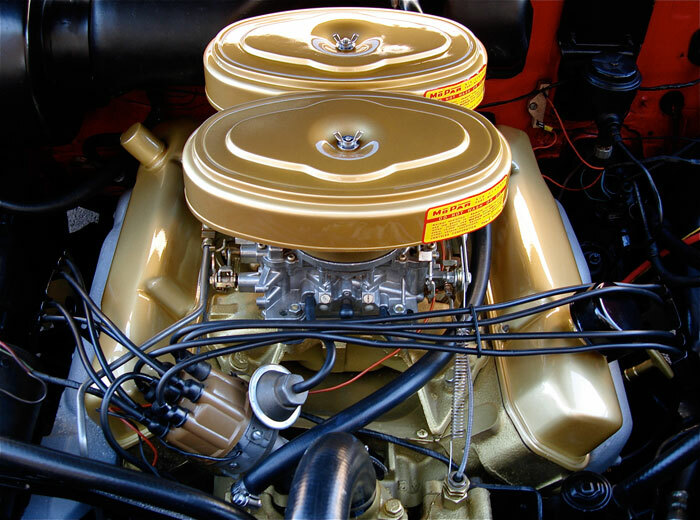 “GOLDEN COMMANDO” 350 C.I. 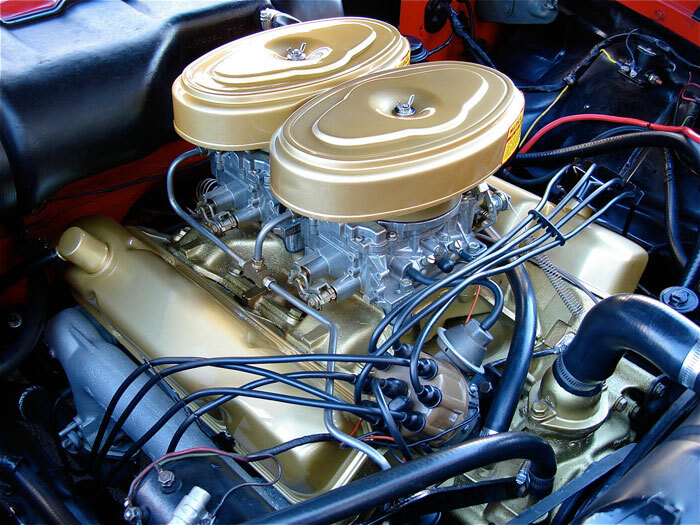 POWERPLANT WITH DUAL 4 BARREL CARBURETORS, SPECIAL LOW-RESTRICTION DUAL-EXHAUST SYSTEM AND HIGH PERFORMANCE CAMSHAFT!!! 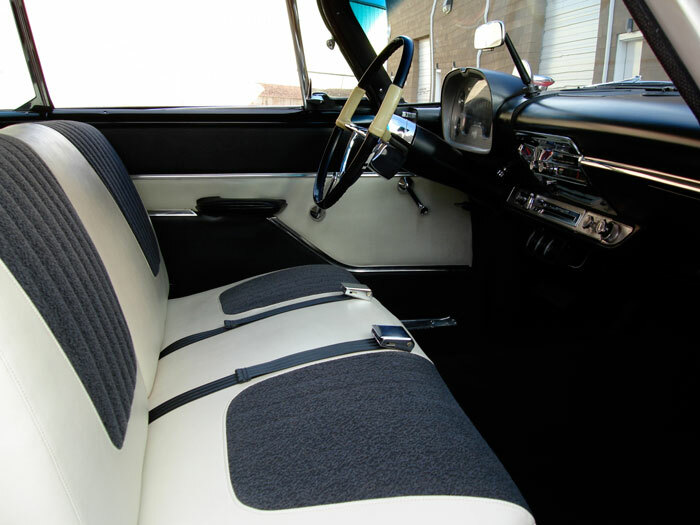 THE 350 C.I. 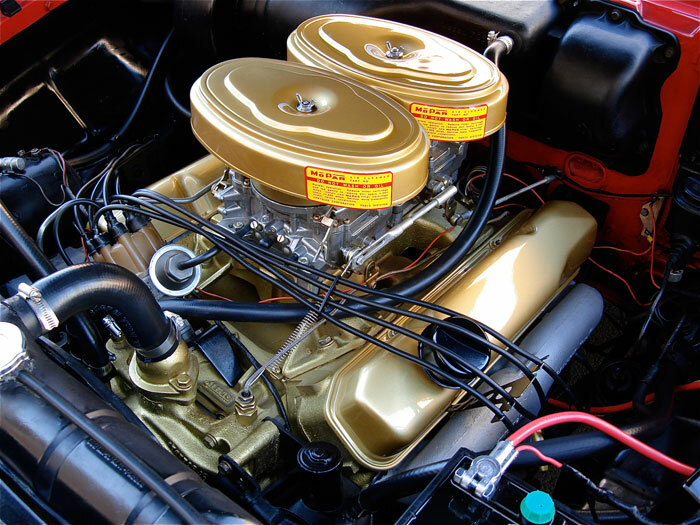 “GOLDEN COMMANDO” WAS OPTIONAL AT AN EXTRA COST ON ALL MODELS AND WAS PLYMOUTH’S ANSWER TO THE DODGE “RED RAM” MOTORS THAT WERE VERY POPULAR AT THE TIME!!! THE MOTOR HAS A DATE CODE OF 11/14/1957, WHICH IS ABOUT AS CORRECT AS YOU CAN GET!!! THIS 350 C.I. 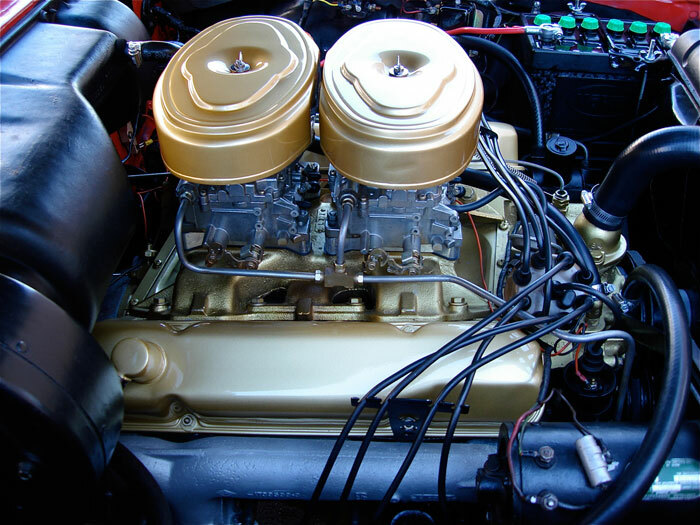 “GOLDEN COMMANDO” RUNS BEAUTIFULLY AND THE DUAL QUADS ARE TUNED TO PERFECTION!!! 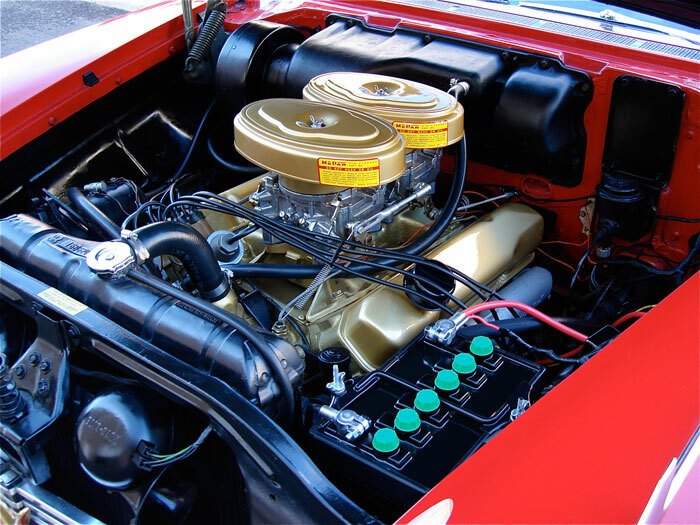 THE TORQUEFLITE 3-SPEED PUSH-BUTTON TRANSMISSION FUNCTIONS PERFECTLY AND SHIFTS LIKE IT DID WHEN IT WAS BRAND NEW!!! 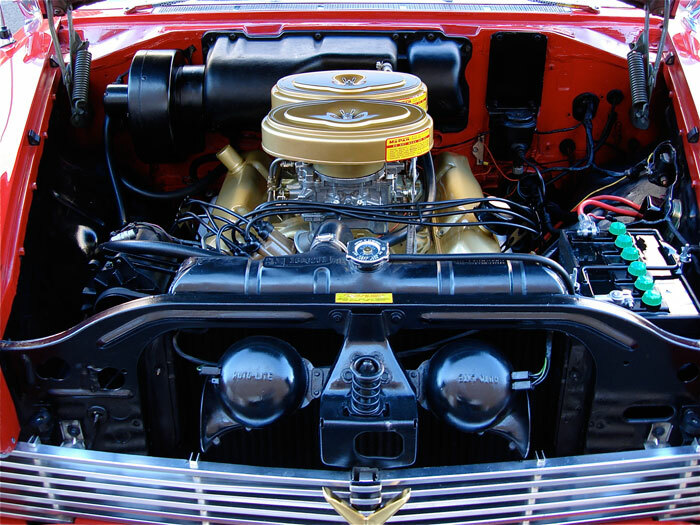 DURING THE RESTORATION, A BRAND NEW EXHAUST SYSTEM WAS INSTALLED USING 2 ½ INCH PIPING AND BRAND NEW MAGNAFLOW MUFFLERS THAT CREATE A PERFECT RUMBLE THAT’S NOT TOO LOUD BUT JUST RIGHT FOR THE CAR!!! THE UNDERCARRIAGE IS VERY CLEAN FEATURING A BRAND NEW FUEL TANK, BRAND NEW SHOCKS AND NICELY DETAILED COMPONENTS!!! SHE SITS ON BRAND NEW P205/75R14 COKER WHITE WALL TIRES WRAPPED AROUND HER ORIGINAL STEEL WHEELS AND ORIGINAL FULL WHEEL COVERS!!! 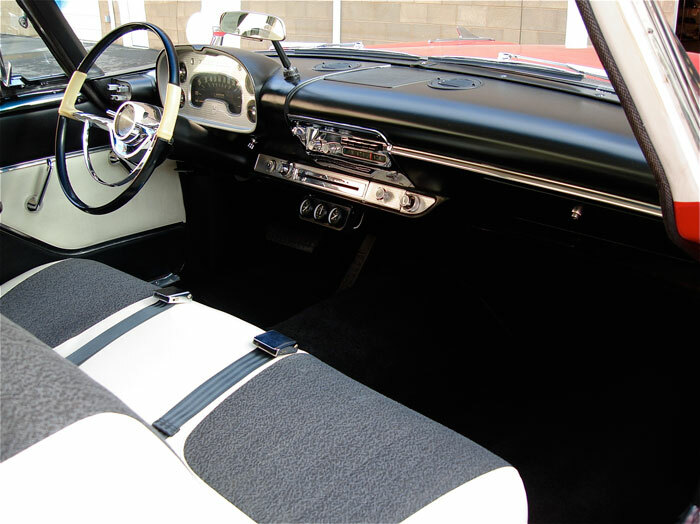 “YOU’RE AHEAD FOR KEEPS IN YOUR NEW PLYMOUTH” PROCLAIMED THE 1958 SALES ADS!!! 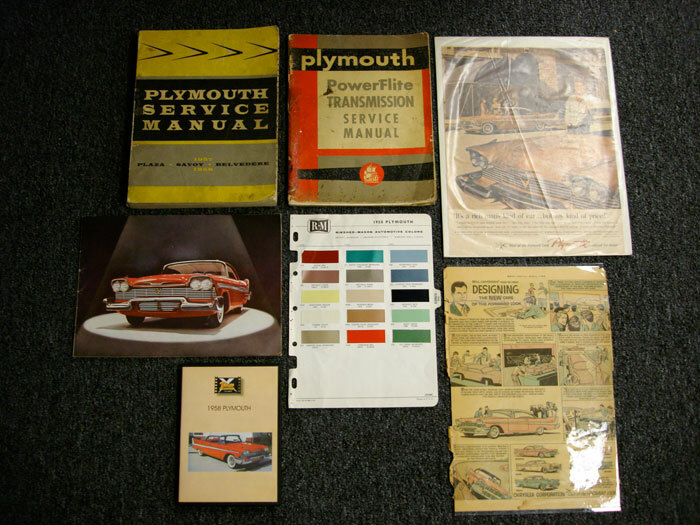 YOU DON’T HAVE TO TAKE MY WORD FOR IT THOUGH BECAUSE THE ORIGINAL SALES ADS, ORIGINAL SERVICE MANUALS AND ORIGINAL SALES BROCHURE WILL GO TO THE NEW OWNER ALONG WITH THE FREE AND CLEAR TITLE!!! 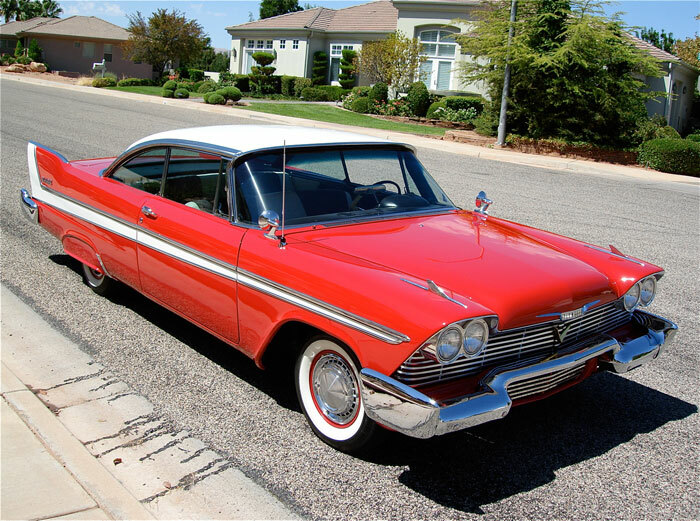 YOU WILL BE VERY HARD PRESSED TO FIND ANOTHER 1958 PLYMOUTH BELVEDERE THAT CAN COMPARE TO THIS FINE EXAMPLE…ANYWHERE!!! 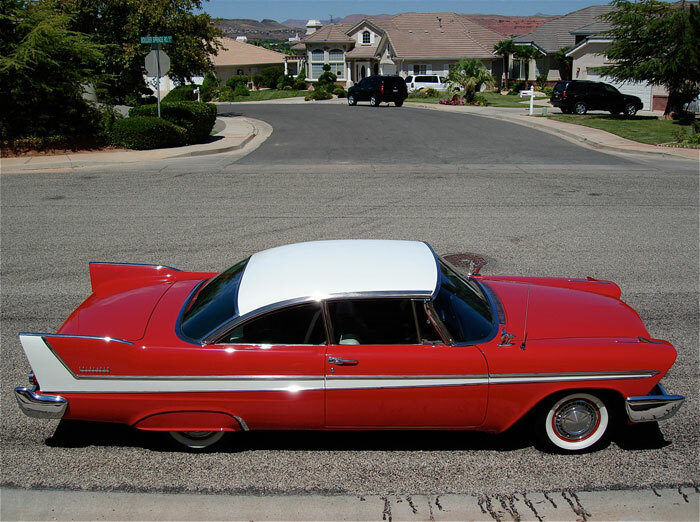 THIS 1958 PLYMOUTH BELVEDERE IS AN INVESTMENT GRADE VEHICLE AND HAS UNLIMITED FUTURE POTENTIAL!! !